Sunny California generated the most searches altogether for the US in May with a total of 20,066 but when we wanted to dig deeper and point out which phone numbers were really doing the itching, it was actually phone caller 7818840698 which provoked 4816 searches alone in Massachusetts. Top 3 phone numbers that generated the most searches in May. 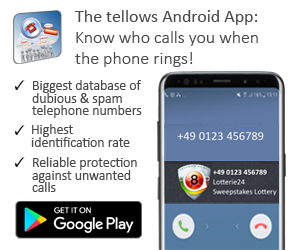 This caller did stimulate a remarkable amount of searches on tellows but it isn’t any wonder when you are playing with the name of the IRS. The caller would say he’s calling from the IRS and through probable spoofing your caller ID says the caller IS calling from the IRS. Call recipients report that they were told that they owe taxes and felt coerced into paying the outstanding taxes over the phone. 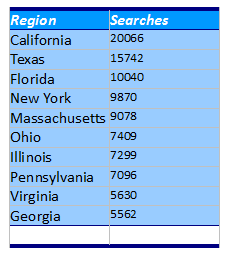 California followed Massachusetts with phone number 9712089936 whom reaped people in with 3395 searches in May. 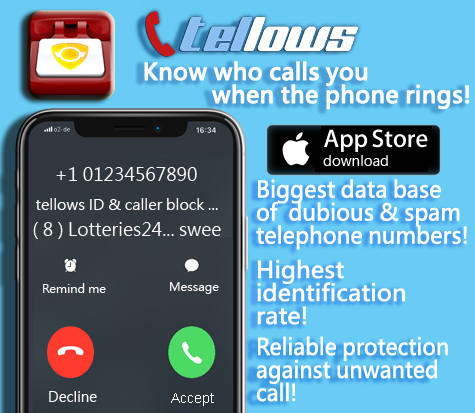 Alot of the comments expressed frustration that this call was an automated service which narrated some instructions to reactive a recent closed bank account. An account that didn’t seem to exist for many. automatic voice system says Sorry, but your (unintelligible) account has been closed, please press 1 to speak to someone on our security team” – or something to that affect. If you press 1, you’re “transferred” and another robot voice comes on and says to reopen your account press 1, to leave press 2. IF you press 1 at this point they ask for your 16 digit card number.. Does not sound legit at all. do not give your CC # over the phone like that! South centrally we are brought to our runner up from Texas with more than 2000 searches for phone caller 2143169648 whom seemed to have had offered a too good to be true deal with holiday time having just arrived, it seems there has been an attempt to find a number of sun seekers. Apparently the caller uses a prerecorded system that pitches a long break on a cruise awaits you.. after you accept to participate in a survey…to which if you have participated in the survey and haven’t hung up yet, you are informed that their is an apparent government port tax of around $60 per person made payable over the phone by credit or debit card! 214-316-9648 called my cell @2:59 p.m. 05/30/14 spoke for 39 seconds prerecorded message: Congratulations, I won a Cruise for 2 to the Bahamas and all I have to do is answer a short survey or I can press #9 to have my number removed from the list permanently, I pressed #9 to have my Number removed permanently! My number is also on the “Do Not Call List,” and it is not working! Lets see where the next call comes from!~ Very annoying and tired of my number being sold! And so you have it, here we have uncovered for the month of May 10 cities that attracted the most amount of traffic, from the west coast of Californa to Georgia of the southeasterly. In addition, we saw evidence of tax time, summer giveaways with a potential hidden costs and assumed spurious bank account protection.